The Environmental Protection Agency is inviting feedback on how to create lead testing kits that meet the performance recognition criteria in its Lead Renovation, Repair and Painting Rule (RRP). Based on a mandate from the EPA’s Fiscal Year 2015 Appropriations Act policy rider, the agency needs to have ideas in place by the end of the fiscal year for developing a test kit that will meet 2008 criteria so that it can be used as an option for testing for lead in housing and child-occupied facilities. The fiscal year ends Sept. 30, 2016. The EPA is seeking comments on how to make a test kit that will follow the agency's RRP rule. No kit on the market meets the agency's positive results criteria. The EPA published a Notice Dec. 21, 2015, following a stakeholders meeting on June 4, 2015, that it is seeking comments on the federal Regulations.gov website. Comments are due by Feb. 19. As previously reported, the RRP requires contractors who perform work on residences built before 1978 to use safe work practices to ensure minimum amounts of dust from those renovations. Prior to 1978, most architectural coatings contained lead-based products, the EPA said. Landlords also are required to follow the Lead Disclosure Rule. That rule lets tenants know about any lead paint that may be in their rental units, the EPA said. The RRP rule requires contractors use safe work practices when working on homes that may contain lead paint. Prior to 1978, most architectural paints contained lead products. According to the minutes from the June 2015 meeting, the EPA will have to revisit its 2008 criteria if a lead kit cannot be made to test for those performance standards by Sept. 30. The minutes also indicate that no kit currently exists that will meet the criteria under the RRP rule. 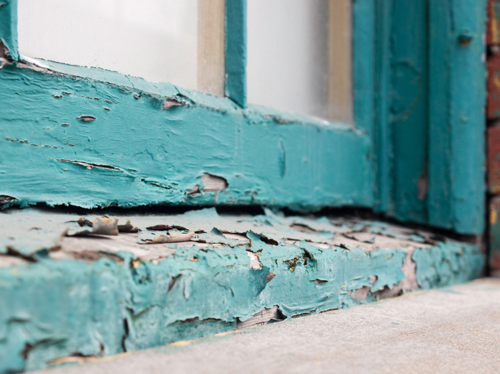 When the RRP rule came out, it established criteria for a testing kit that would give a positive or negative result for the presence of lead in architectural paint, the EPA said. Although EPA-recognized test kits—when used by a trained professional—can determine reliably that lead does not exist, none of the current tests on the market reach the criteria for a positive result. Based on stakeholder input, the EPA is unaware of any lead test kit available now or in the foreseeable future that would meet both of the performance criteria, its Notice indicates.